The London 2012 Handover Ceremony was performed at the Beijing Olympics 2008 and formed part of the Closing Ceremony of the Olympic and Paralympic Games. The sequence featured dancers from the Royal Ballet, CandoCo and Zoo Nation with performances by Leona Lewis and Jimmy Page and an appearance by David Beckham. 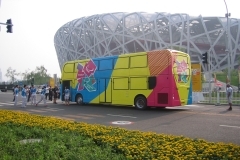 The creative team for the Beijing Show was headed up by London 2012 Director of Culture, Ceremonies and Education, Bill Morris, Head of Ceremonies Martin Green and Creative Director Stephen Powell. 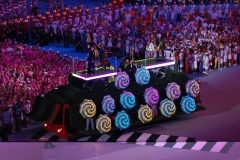 Musical Director for the show was Philip Sheppard, Ray Winkler was the Production Designer, Costumes were designed by Jonathan Bentley, Stage Management was led by Sam Hunter and John Farquhar-Smith was Production Director. 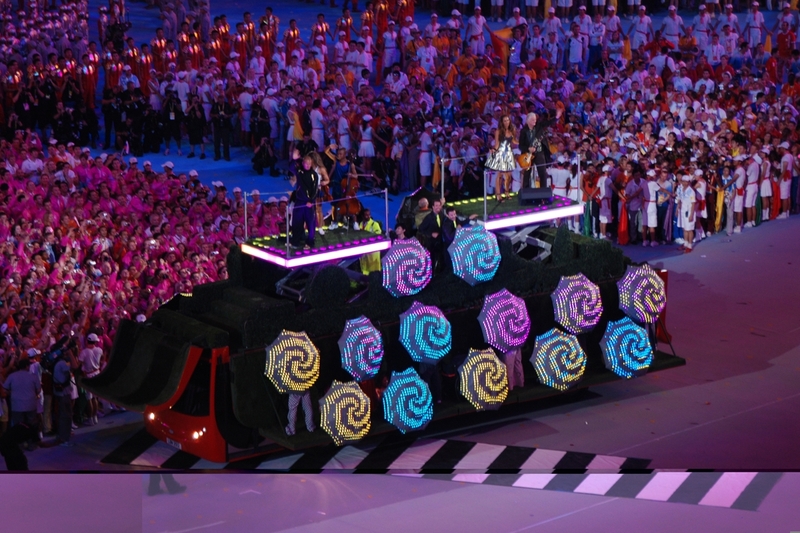 The lighting designer for the host event Opening and Closing Ceremonies was Mr Sha Xiaolan assisted by Paul Collison, Dennis Gardner and Steve Kellaway; lighting programmers were Feng Bin, Wu Guoquing, and Huang Tao. 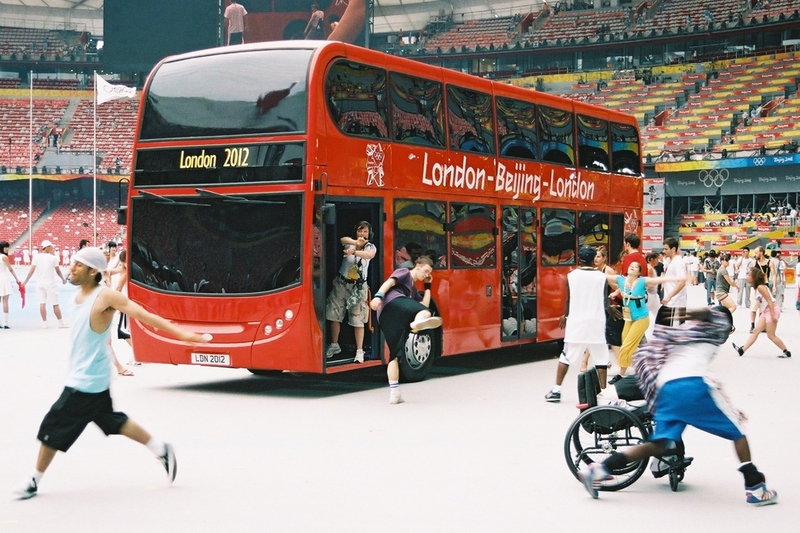 The Bus returned for the Paralympics Handover on the 17th of September 2008, the first time the two handovers have had a linked theme, and featured performances by drummer Cherisse Osei and Guitarist Sam Hegedus with an appearance by Wheelchair Basketball Medalist Ade Adepitan.